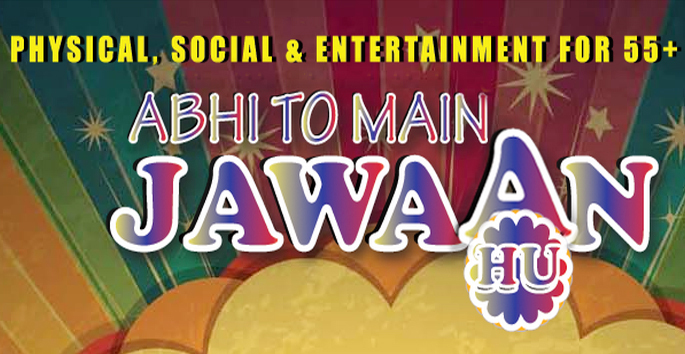 This Event was Presented by Rajesh Angral With the support of Living Legend Bhangra Coach Daljinder Johal (Epic Bhangra) & Jas Tents Rental, Co-sponsored By Ace Entertianment & Media Group and IWebGuy on April 20th, 2014 from 12 p.m. - 4 p.m. at Genesis Community Wellness Center 7556 Falconridge Boulevard NE, Calgary. 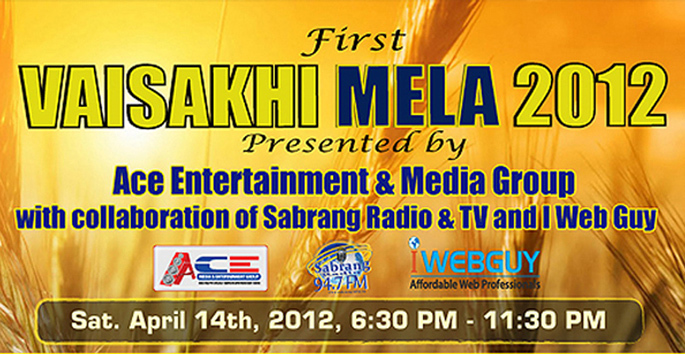 This Event was Presented by the ACE ENTERTIANMENT & MEDIA Group, IWebGuy and Sabrang Radio 94.7 FM on April 13th, 2013 from 6 p.m. - 9 p.m. at Genesis Field House 7556 Falconridge Boulevard NE, Calgary. 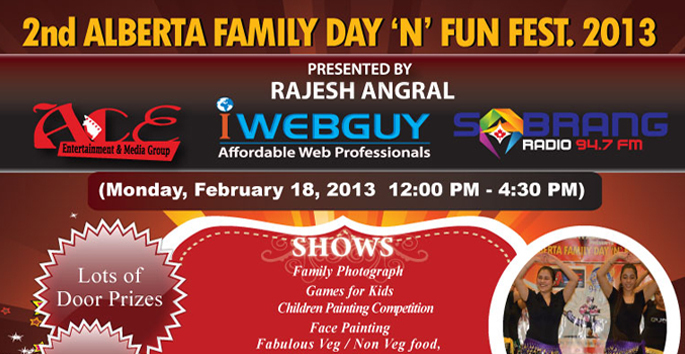 This Event was Presented by the ACE ENTERTIANMENT & MEDIA Group, IWebGuy and Sabrang Radio 94.7 FM on February 18th, 2013 from 12 p.m. - 4:30 p.m. at N.E.C.C.S. 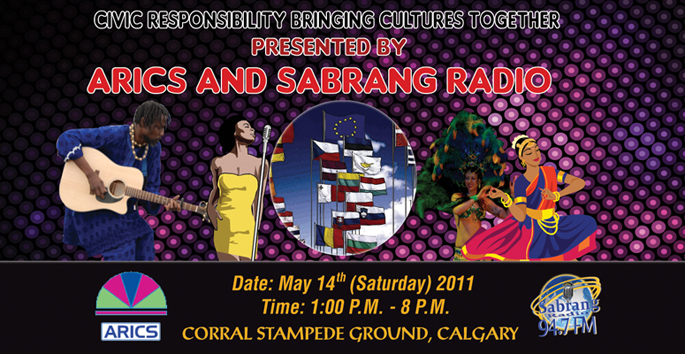 Gymnasium Hall of Genesis Community Wellness Center located at Saddle town Circle in Calgary North East. 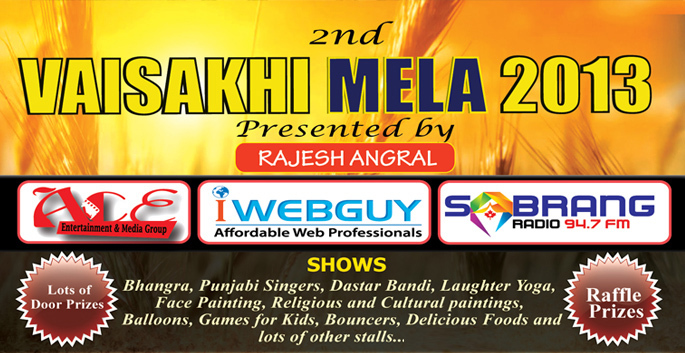 For people in northern parts of India, especially the Sikhs, Vaisakhi was a mega event - it was a new year day, harvest and religious festival all rolled into one. In April, this day marks the beginning of the solar New Year. 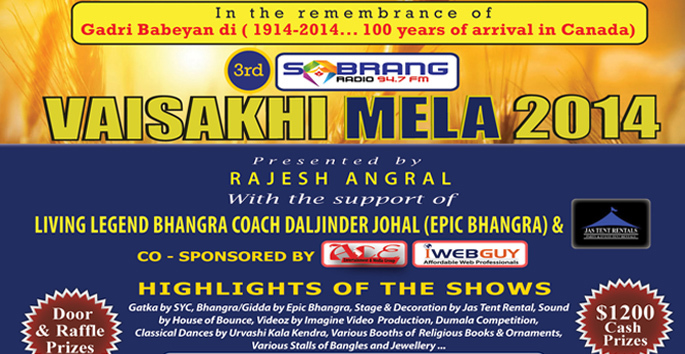 In fact, this day was celebrated all over the country as New Year day, under different names.This show was presented by SabrangRadio,IWebGuy & Ace Entertainment & Media Group.